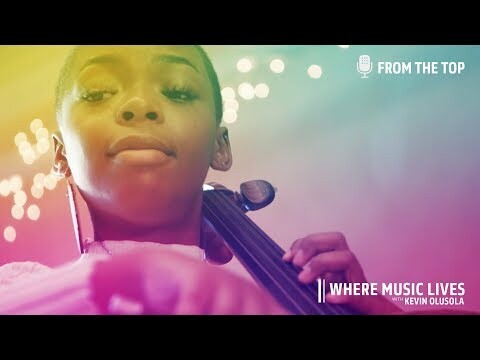 Ifetayo is now 16 and appears in From the Top’s new series Where Music Lives with Kevin Olusola, premiering April 11, 2019. Check it out! Ifetayo Ali-Landing (cello), 15, lives in Chicago, Illinois where she has studied at the Hyde Park Suzuki Institute and with Hans Jensen at Northwestern University School of Music. 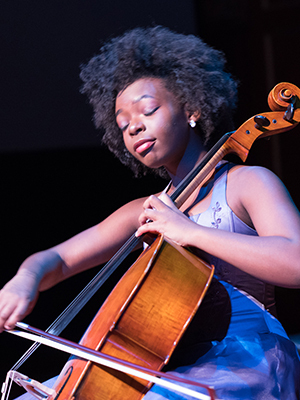 Ifetayo was the 2017 Sphinx Competition Junior Division First-Place Laureate and performed as soloist with the Sphinx Symphony Orchestra at Orchestra Hall in Detroit. She has also performed with the Wilmington (NC) Symphony, New World Symphony, and Detroit Symphony, and her favorite musical experience has been performing at the Gateways Music Festival in Rochester, New York. Ifetayo also enjoys fashion, computer coding, soccer, acting, and creating video content.